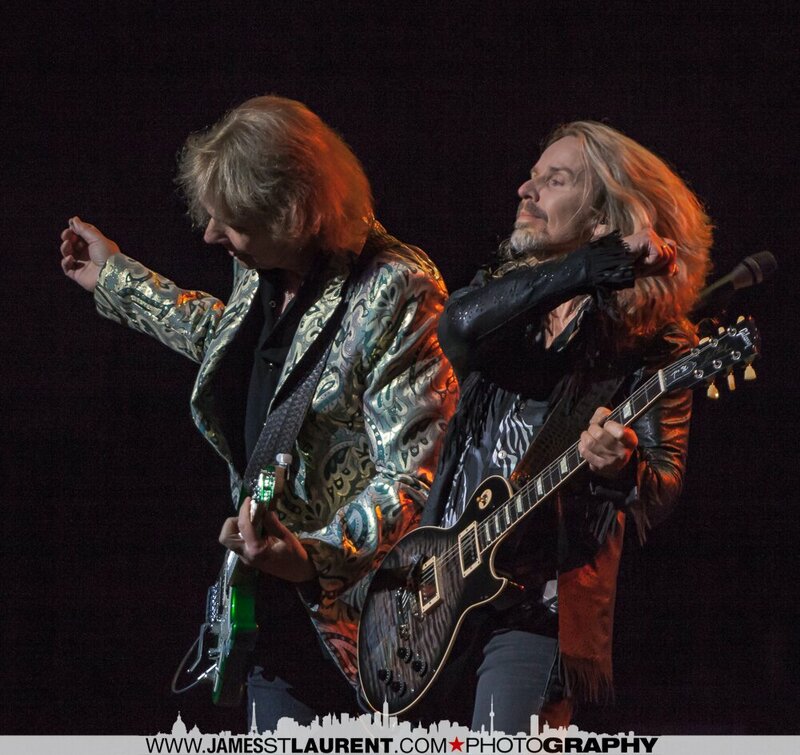 Rick Keene Music Scene – Styx Hits Trois Rivieres Like a Ton of Bricks ! 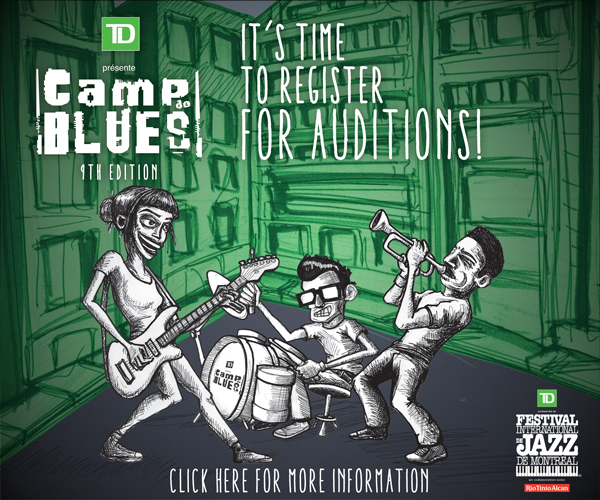 Smack dab in the middle of the Trois Rivieres Blues Festival – a classic Rock band arrived. ‘Prog Rock’ was and remains hugely popular in Quebec. Bands like Genesis and Yes. Artists such as Chris de Burgh. The Robert Segarini – led The Dudes. Quebec always seemed to latch on to ‘the something new’ label as long as it was passionate and good. As long as it was energetic and loud. 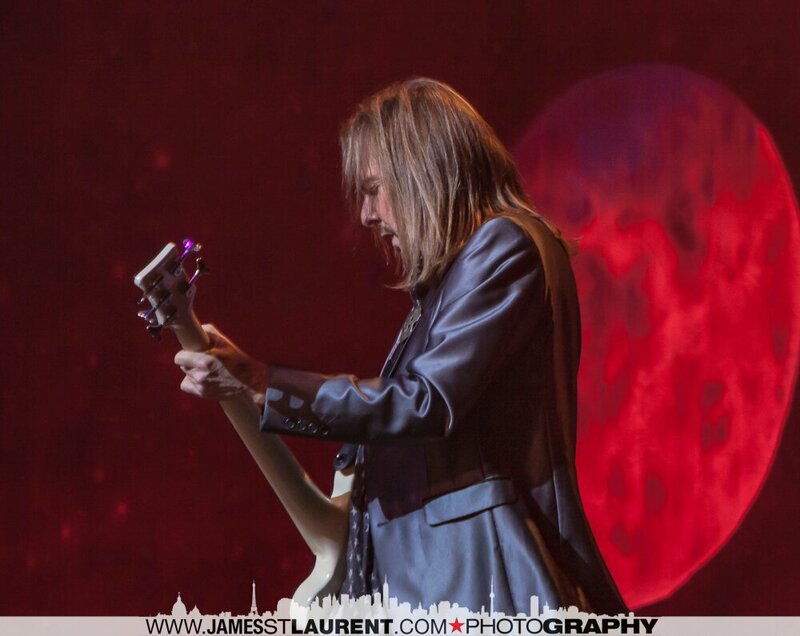 So why the departure of fans or lack of aforementioned fans at the Styx show in Trois Rivieres ? Something was amiss yet it was not the band as they delivered a high octane Rock show on the heels of their best album in twenty years. The album The Mission. Sitting nicely on the Billboard 100. French people love Guy Lafleur but they wouldn’t pay good money to watch him play hockey anymore. What does this have to do with Styx? How are sports and music similar in this forum? Blame it on Classic Rock radio and blame it on the Blues. The majority of the people in attendance were Blues’ fans attending a Festival. A gathering of a genre. Birds with similar feathers flocking together ready to pounce on the ‘Trout’ next to the river. Face it, when you go to McDonald’s – you don’t want pizza. If it’s thrust at you, you sample it, decide if it’s your taste and either eat it or throw it in the trash. Styx were pizzas to many ‘diners’ and they headed for the exits with visions of red clowns in the distance. Where were the Prog Rock and Styx fans and why weren’t there more in attendance? 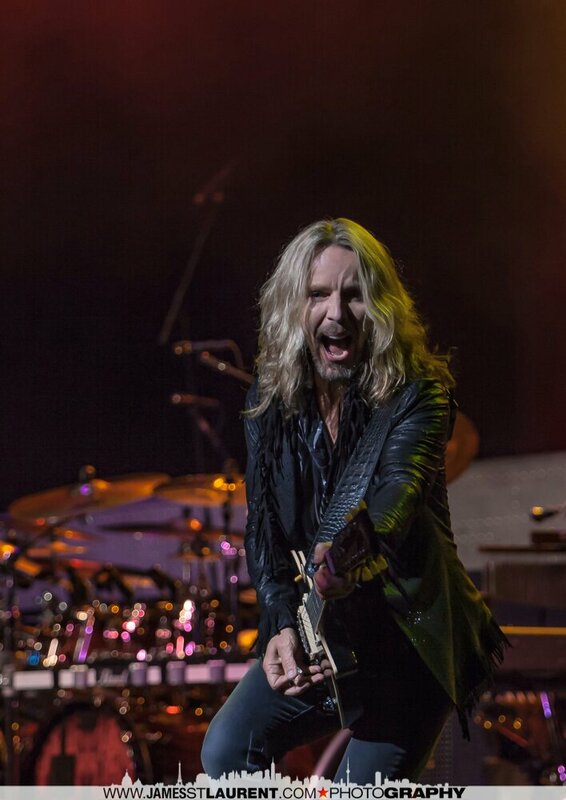 Like the Lafleur fans – some people love Styx but think of the band as way past their prime. Just like the mentality of Lafleur’s posse. Ten bucks maybe. Anything over that price? In the words of Tretiak – nyet. A case of beer, a condom and catcalls outside the local pool hall much better time spent and worthy of hard earned money. YouTube and the record player in the attic a much more efficient way to listen to Crystal Ball. Somewhere or someplace in the past fifteen years or so, classic Rock radio stations stopped playing and / or promoting classic Rock band’s new albums. Not just some bands who were around when Gilligan’s Island didn’t include the Professor and Mary Anne in the theme song, all the groups from that ‘three hour tour’ are left without life jackets if they release new and great songs. Ironically – the classic bands are drowned out by the very stations the bands helped create. 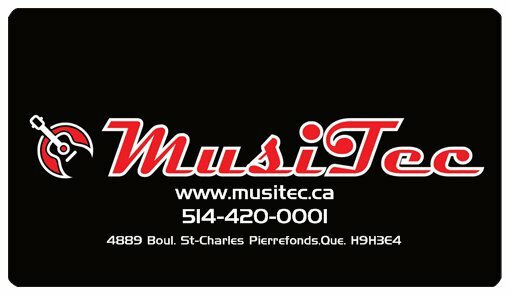 If classic Rock radio within a two hour radius of Trois Rivieres would have played not one – all of the tracks from Styx’ new album The Mission since it’s release, the price of admission is suddenly ‘cheap’ and the show – suddenly ‘rich’. 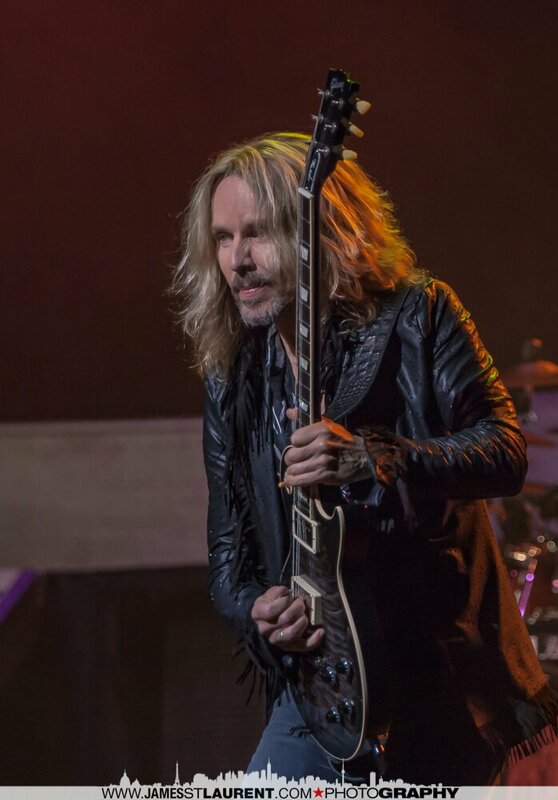 Just like that, Styx and Prog Rock fans from far and wide would have made the pilgrimage to the promised land. ‘If you build it, they will come’. Unlike the Styx show the following evening in Pte Claire, there was no charity, no corporate bandwagon backslapping and no media – to – get- a- pass coverage en masse. Trois Rivieres and Styx were left to die. 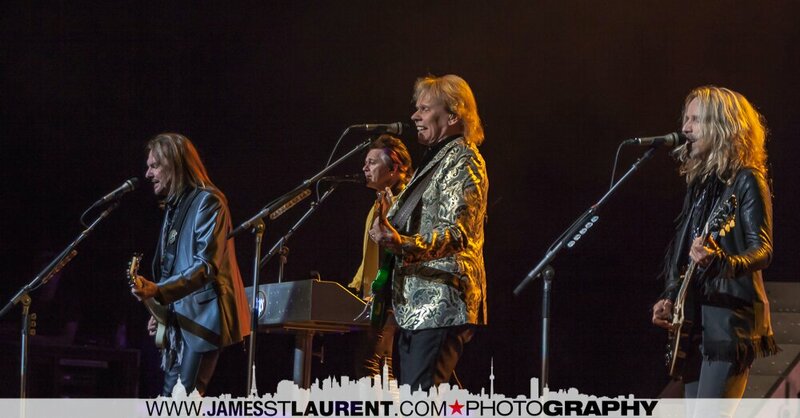 What was missed by many in Trois Rivieres and witnessed by more in Pointe Claire was a Styx show complete with all the hits, pomp and ceremony expected at a Styx show. 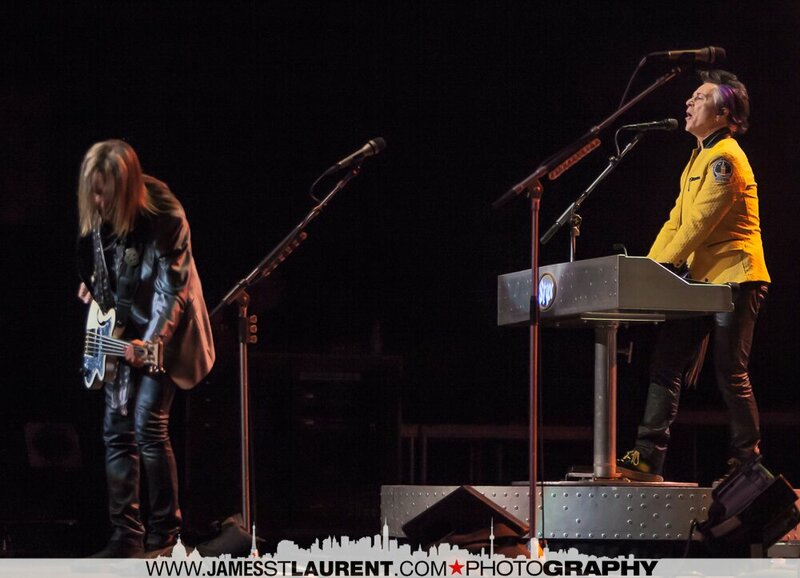 The hardest working band in music ( over 170 shows annually ) delivered more energy than Hydro Quebec on a stormy evening. More passion than Subban at the beginning of a hockey shift. 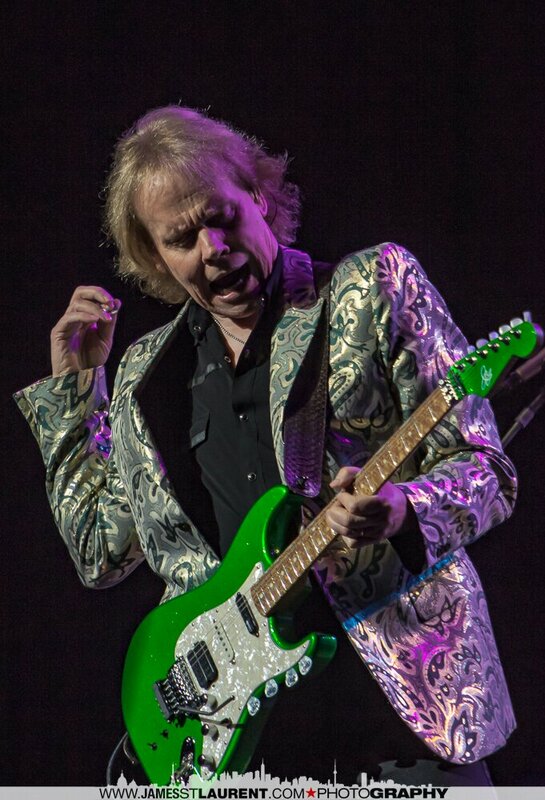 Led theatrically by Lawrence Gowan on keys and vocals ( a member since 1999) – Styx are a working band that would put any young band properly to bed at a decent hour. 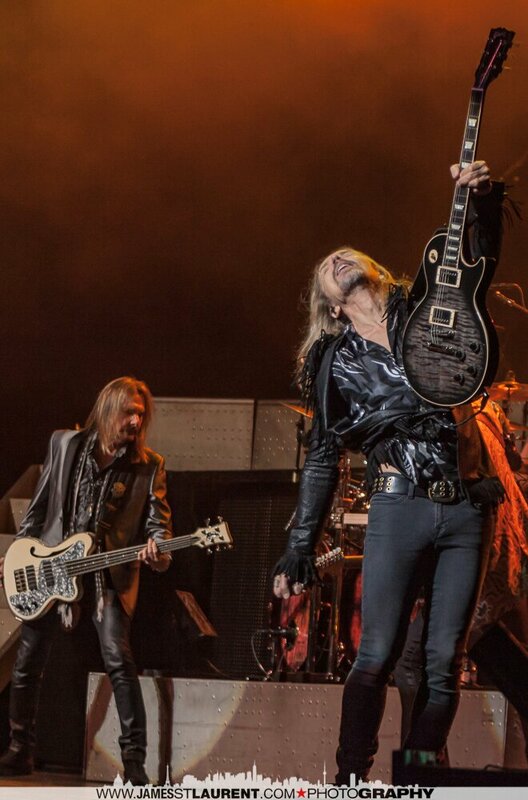 Shaw and Young ( two original members) attempt to outdual one another on guitar. Pushing each other to reach that point every musician strives for yet never obtains. Phillips and Sucherman, the well fuelled battery. Pounding the rythyms to perfection yet leaving space for the songs to breathe. 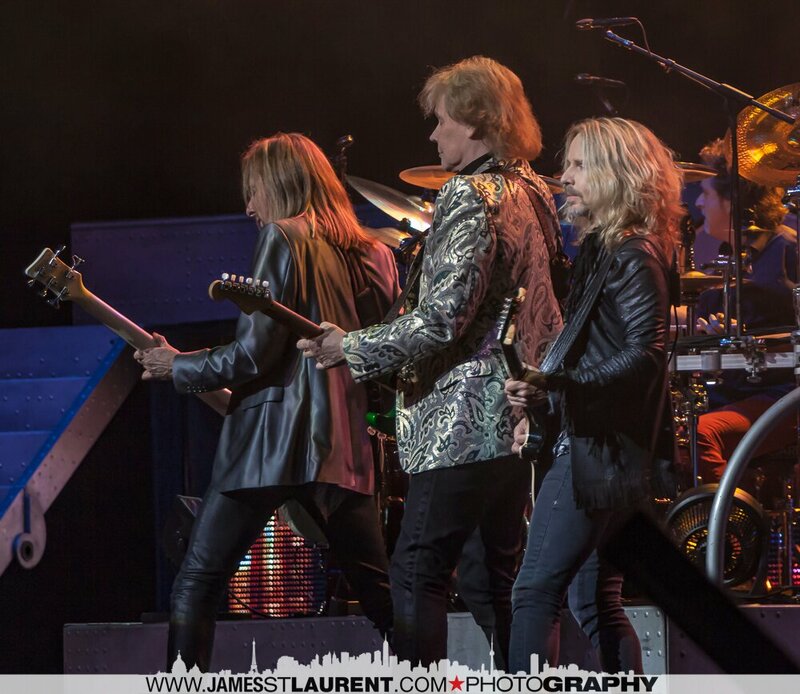 Leaving space for each of them to lead and follow and for the unique harmonies of Styx to flourish. Aside from hits such as Suite Madame Blue, Come Sail Away and Fooling Yourself – a pair of tunes from The Mission were the jawdroppers. Chameleon songs disguised nicely within the vast and diverse Styx catalogue. The opener – Gone Gone Gone, as infectious as an ice cream cone on a hot summer day. Riveting energy ricocheting off anything it could rattle. Typical Styx harmonies lighting the way for the opening song ( on disc and live) to place roots and grow into what will eventually be an oaken Styx classic. As strong, as tall and as rough as Renegade. The surprise of the evening was not only the quality of (one of The Mission’s new songs) Radio Silence, but the audience’s reaction to it. Like a thief in the night, the ballad – type song slips in nicely between the albums Equinox and Grand Illusion. The punters accepting it as old. As something they heard from Styx but cannot place it. A real Fedora- off type moment for a band that started many moons ago. A hats- off moment for a band that recently had a moon named after them. Heck – if NASA has heard The Mission more times than an average Rock fan, then music may as well be sung by aliens floating in a tin can. Planet Earth will turn blue. 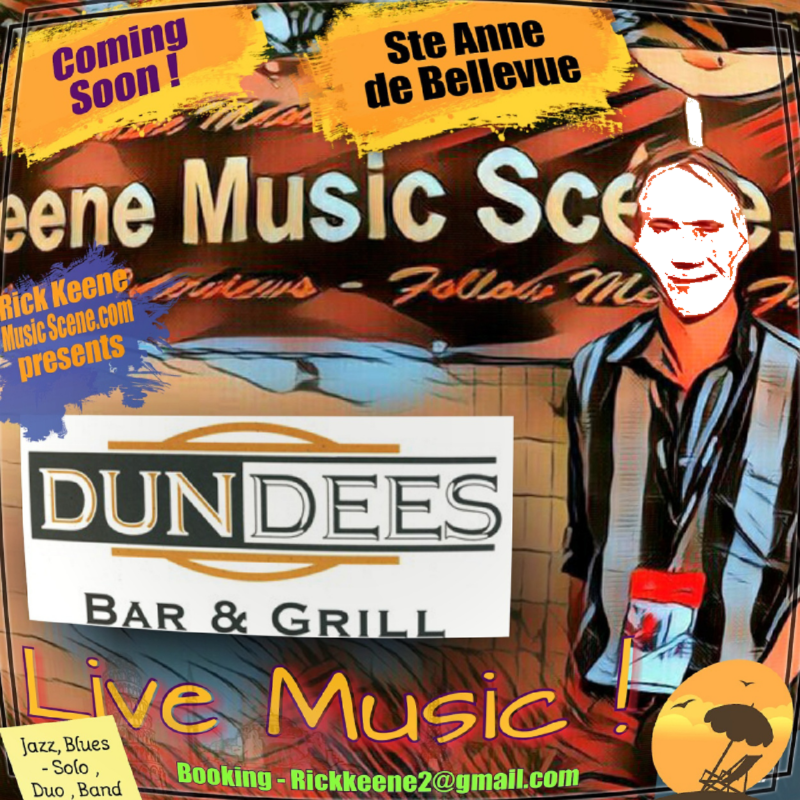 Author Rick KeenePosted on August 29, 2017 August 29, 2017 Categories InterviewTags Rick Keene music scene, styx montreal, styx quebec, Styx Quebec reviewLeave a comment on Rick Keene Music Scene – Styx Hits Trois Rivieres Like a Ton of Bricks !